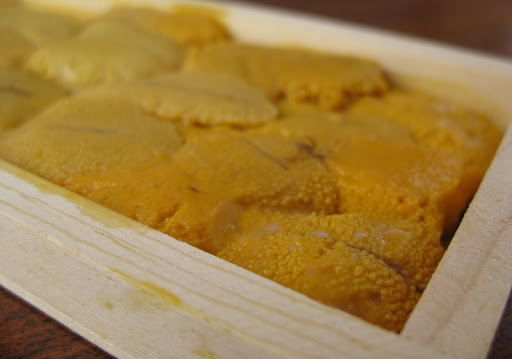 When Sherry went by Catalina Offshore Products this past Friday to pick up some fish (grouper and yellowtail - both were fantastic) she also grabbed a tray of uni. I'd been looking forward to trying uni for some time now - admittedly with some trepidation, as I find the idea of eating sea urchin gonads a bit off-putting. The verdict? At the risk of losing what foodie street-cred I may or may not have, I have to confess that I'm not a fan. We first tried them straight-up. I can see why lots of people like them - they have a sweet, rich taste of the sea about them. But I just couldn't get past the texture. We also gave them a try in eggs - with much the same reaction from me, I'm afraid. And while Sherry liked it considerably more than I did, I don't think uni is going to find a regular spot in our rotation. 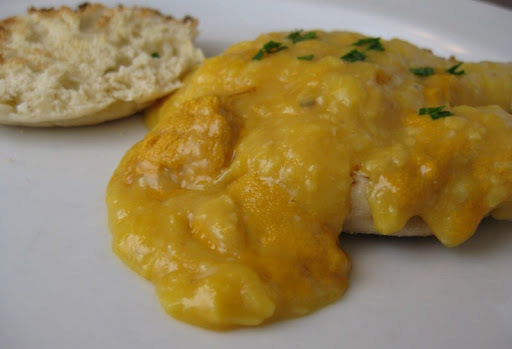 The offal in our eggs is more likely to come from larger creatures. For some more positive takes on local uni, have a look at this post from Dennis, and this one from Kirk. 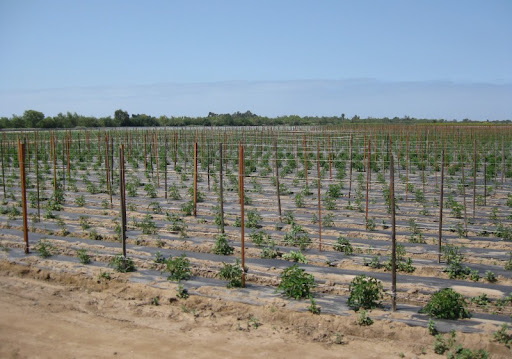 Who knew that there was an operating farm in San Diego County west of I-5? We certainly didn't, but we do now. 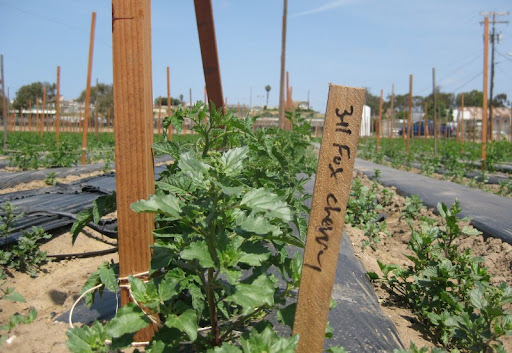 This past Saturday, Slow Food Urban organized a visit Suzie's Farm, an organic farm located just south of Imperial Beach in the Tijuana River Valley. Pimping some freshly uprooted carrots in the picture above is not Suzie (although she gets asked that a lot). It is Lucila De Alejandro, who operates the farm with her husband Robin Taylor. Suzie was their dog. Well, kind of. Suzie was a Norwegian Elkhound that lived wild in the valley, and later with them. And the property we visited wasn't strictly Suzie's Farm. It is "Kiki Town" - a 40 acre parcel of land right nearby their original farm location that they have been farming since last July. Why "Kiki Town"? Named after one of their current Norwegian Elkhounds, of course. 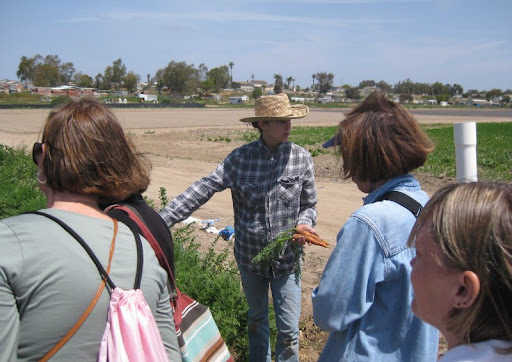 Or are they nettles :-) By touring the fields and observing, it became immediately apparent that one of the challenges of growing organic crops near the sea in San Diego is that nettles will grow almost better than anything you intentionally plant. The fields start nice and clean. 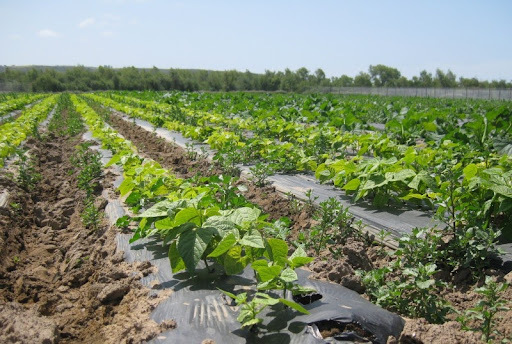 Below you can see lovely young bean plants shooting up from beneath a soil-warming layer of black plastic (and right along side, the tender young nettle plants growing between the rows!). They had a very nice variety of gorgeous lettuces growing, like these green and purple leaf lettuces. 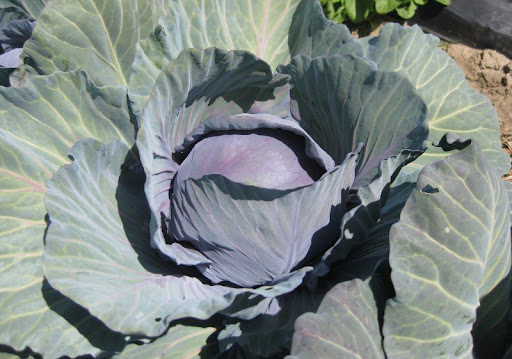 Between the newly planted fields and the older, winter crops was a beautiful, edible "wall." One of the participants likened it to a stone fence, building up in layers. 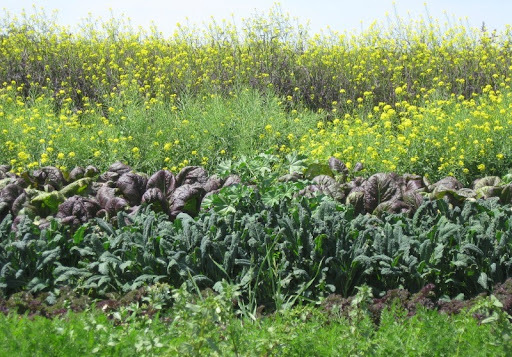 It is composed of carrots in the front (light green tops just visible here), followed by rows of black kale, swiss chard, purple mustard lettuce and finally arugula going to seed in a tall bright yellow swath. 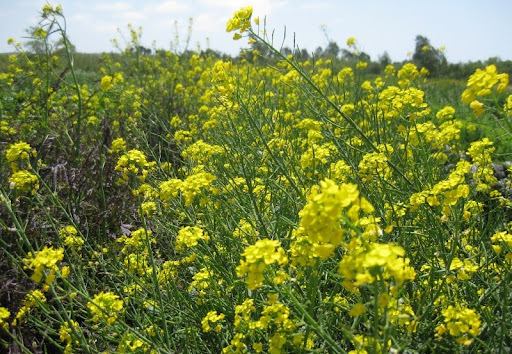 We tasted it all - the mustard leaf tasting very much like spicy mustard and the arugula intense and peppery even in its waning state. The tour we attended included some opportunity to take home the ultimately fresh goods. 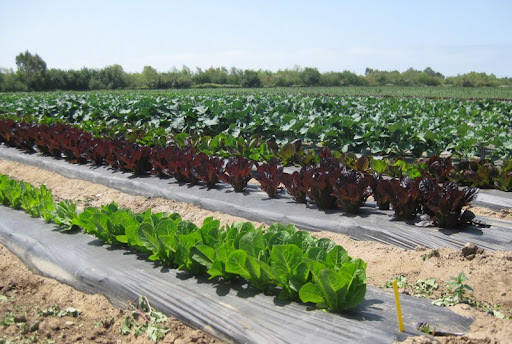 We harvested rainbow chard (below), broccoli, cauliflower (had some roasted Sunday night - lovely), sugar snap peas, and a little of this and that as desired. All in all, it was a very pleasant couple of hours. Suzie's Farm has a CSA (if we weren't already very happy with our own farmers market we'd be very tempted to join), and they supply a bunch of restaurants in town. 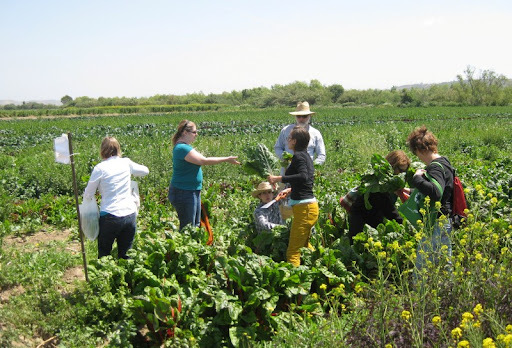 Real people growing real food for real people. Just 20 miles down I-5 from our very urban home! I hope everyone will excuse a rare, non-food-related post. While eating and drinking may be my most important hobbies, I have a few others as well - including music, computer programming and video games. I just completed a project that encompasses all three. Tunescape is an Xbox 360 game that I just published on Xbox Live Indie Games. 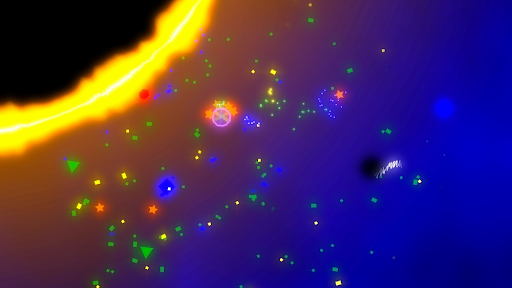 In Tunescape, the gameplay is derived from the musical patterns of a song. The game includes nine tracks by Kevin MacLeod, but you can also play against any song in your music collection. and the Tunescape page in the web-based Xbox Live Marketplace is here.